SCBWI-Los Angeles invites you to join us for Writer’s Day 2016! In the Magnin Auditorium, there will be a morning of talks by publishing professionals and author presentations in the afternoon. Each talk will allow time for questions from you – the audience. We will also have door prizes and the Sue Alexander Service and Encouragement Award. We will have four one-hour breakout sessions in the Haas classrooms. These sessions are only available to SCBWI members. The breakout sessions are included in the cost for the day – you must sign up for them when you register. Space is limited. There will be a limited number of manuscript critiques available: some written only and some face-to-face. These critiques are only available to SCBWI members. Register early if you want to buy a manuscript critique. You can indicate if you prefer a critique with an agent, an editor, an author or if you have no preference. We will do our best to accommodate everyone’s preference. Information on how and when to submit your manuscript for critique will be sent soon to those who have purchased one. Remember to enter the contests – open to all who register for Writer’s Day. This year’s winners will receive free tuition to the combined Writer’s and Illustrator’s Day in Spring 2017 plus a 20 minute face-to-face critique with an editor or agent. Winners need to be present to receive the face-to-face critique. Bunny Eat Bunny: Thirty Years of Kids’ Book Publishing — Brought to You in 60 Minutes. In this session, we’ll work on how to take your prose to the next level by looking for the telling details that bring your characters, your world, your dialogue, and your action to life. All writing — picture book, middle-grade, YA, adult (!) — benefits from attention to the specific. Bring up to three pages of a work-in-progress and be prepared to dig deep to find the gems that will make your work stand out to agents, editors, and readers. A look at how editors approach a new manuscript, the different stages of the revision process, and strategies/questions to ask and answer at each level, from the big picture to line edits. Advanced tips for those already familiar with the basics of social media. Advice will include how to use social media to create buzz for your books without spamming your followers, time management tips, and some Do’s and Don’ts when it comes to networking with agents, editors and art directors. Layering, shading, and texture are well known techniques in art, but how can we apply them to our stories to bring them more vividly to life? This workshop will explore a wide variety of techniques that writers can use to add complexity and texture to both their story and their characters in order to create a more fully realized, multi-layered novel. *Schedule and faculty are subject to change. Brenda Bowen is a literary agent at Sanford J. Greenburger Associates in New York City. Her clients include Hilary Knight, Rosemary Wells, Chris Raschka, Mike Curato, Emily Winfield Martin, Tim Federle, Jasmine Warga, Heather Demetrios, and Julianne Moore. 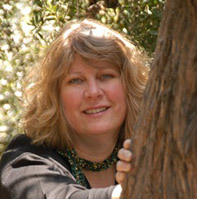 Bowen spent twenty-five years as an editor and publisher of children’s books before moving to Greenburger: she has held the position of editorial director/associate publisher at Simon & Schuster Children’s Publishing; Disney Hyperion; Scholastic Press; and Henry Holt Books for Young Readers. Books edited by Brenda have won the Newbery Award, the National Book Award, the Caldecott Honor, and the Coretta Scott King Award. 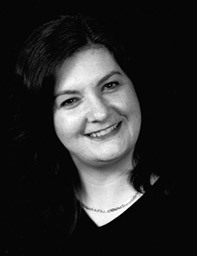 Wearing a different hat, Brenda is an award-winning writer for children; she writes under the name Margaret McNamara. Her first novel for adults, Enchanted August, was published by Viking in summer 2015. Also, she’s a ginger. Stephanie works on a range of YA and middle grade fiction by authors including Kiera Cass (the Selection series), Erin Hunter (Warriors), and Cynthia Hand (The Last Time We Say Goodbye). She loves books with snarky banter, unconventional narrative structure/points of view, and inventive worlds you want to live in, and is always looking for diverse characters, stories, and settings. While she does admit to a major geeky affinity for fantasy and science fiction, she is open to considering most genres, from contemporary romance to action/adventure. Find her online at stephanie-stein.tumblr.com or on Twitter @stephlystein. 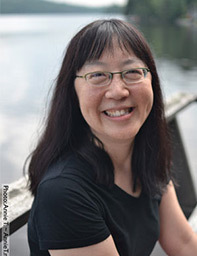 Debbie Ridpath Ohi writes and illustrates books for young people in Toronto, Canada. Her first solo picture book, WHERE ARE MY BOOKS?, debuted from Simon & Schuster Books For Young Readers in 2015. Debbie’s illustrations appear in picture books by Michael Ian Black (NAKED! and I’M BORED) and Judy Blume chapter book and middle grade reissues (Atheneum). Her upcoming publications include illustrating the MITZI TULANE series by Lauren McLaughlin for Random House, RUBY ROSE series by Rob Sanders for HarperCollins and SEA-MONKEY AND BOB by Aaron Reynolds for Simon & Schuster. Her blog for writers/illustrators: http://inkygirl.com. Twitter: @inkyelbows. 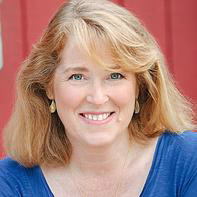 Robin LaFevers is a NY Times bestselling author who has written over sixteen books for young readers, including the Theodosia and Nathaniel Fludd, Beastologist series. Her most recent young adult trilogy about assassin nuns in medieval France (GRAVE MERCY, DARK TRIUMPH, and MORTAL HEART) was awarded starred reviews from SLJ, Booklist, Kirkus, and Publisher’s Weekly and has been translated into a number of languages. Though she has never trained as an assassin or joined a convent, she has been on a search for answers to life’s mysteries for as long as she can remember. She currently lives with her husband in the hills of Southern California, but can be found on the internet at http://www.robinlafevers.com or on twitter @rllafevers. Prior to becoming a literary agent, Jill worked at Mattel, LA Gear, Leo Burnett Advertising, and her own company, LAUNCH! New Product Marketing. With an English degree from Stanford University and a Marketing and Finance MBA from the University of Chicago School of Business, Jill has marketed everything from Barbies and Disney toys, to Kellogg’s cereal, hair care and sneakers. 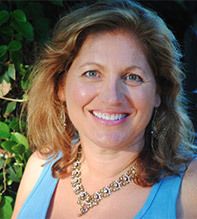 Writer turned lit agent, Jill opened the West Coast arm of Herman Agency in 2009. In the summer of 2014, Jill launched JCLA. Jill is also a partner in charge of licensing for EverWitt Productions. Jill’s poetry anthology, DARE TO DREAM…CHANGE THE WORLD (Kane/Miller, 2012) was honored with the American Library Association 2013 Notable Books for a Global Society Award, a California Reading Association’s 2012 Eureka! Silver Honor, and was named a Best Books of 2013 by Bank Street College of Education. Eve has eclectic literary tastes, with favorites ranging from THE STUPIDS STEP OUT to Walter Dean Meyers’ MONSTER, and is accepting submissions for all levels of children’s books with a special interest in contemporary, realistic, edgy Young Adult novels. After graduating from UCLA with a Bachelor’s degree in Biology/Psychology, Eve attended medical school, anticipating a career in Pediatrics, but decided she loved sleep and creative outlets too much to continue doctoring. She earned a degree in Early Childhood Education then taught preschool, Kindergarten, and First Grade. She served as a foster care case manager in Vermont and court-appointed Guardian ad Litem, and currently teaches creative writing to incarcerated teens in Los Angeles, and serves as an aid worker in Tijuana orphanages. Eve has had the recent privilege of teaming up with Simon and Schuster to create a new line of nonfiction True Crime books for young adults, where she will wear her new hat as author. A writer and active member of SCBWI for 14 years, Eve interned at the Jill Corcoran Literary Agency in 2012, and is now a full agent. Nephele Tempest joined The Knight Agency (www.knightagency.net) in January, 2005, opening the Los Angeles office. 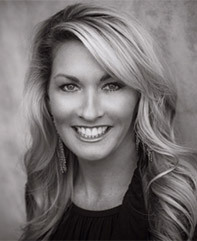 As an agent, she works with a number of talented writers, assisting them to hone their skills and build their careers. Nephele comes from a diverse publishing and finance background. She has worked in the editorial department at Simon and Schuster, as a financial advisor for Dean Witter, in the marketing and communications departments of several major New York investment firms, and as a freelance writer. Her experiences in sales, marketing, and writing provide her with insights into multiple aspects of the publishing industry. Nephele belongs to the Association of Authors’ Representatives (AAR), Romance Writers of America (RWA), and The Association of Writers & Writing Programs (AWP). She continues to actively build her client list, and is currently seeking works in the following genres: upmarket fiction, women’s fiction, fantasy, science fiction, romantic suspense, paranormal romance, historical romance, contemporary romance, historical fiction, young adult and middle grade fiction. She can be found online at http://nepheletempest.com and @NepheleTempest. 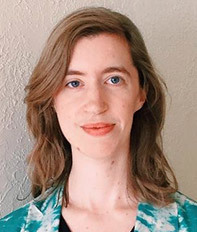 Bethany Strout is an Associate Editor at Little, Brown Books for Young Readers, where she assists Publisher Megan Tingley as well as managing her own list. She has worked with authors and artists such as Sherman Alexie, Libba Bray, Laini Taylor, Matthew Quick, Grace Lin, Chris Colfer, Wendy Mass, Peter Brown, Ed Young, Bryan Collier, and the team of Keith & Theodora Richards. She has acquired and edited the upcoming YA novel The Prince of Venice Beach by Blake Nelson (author of Girl and Recovery Road); the strong-voiced MG debut Sure Signs of Crazy by Karen Harrington; and the boisterous picture book The Best-Ever Bookworm Book by Alice Kuipers, illustrated by Bethanie Murguia. She is always looking for novels with small-town settings, romances that feel messy and real, mysteries that make her realize the author is much smarter than she is, and fully realized fantasy worlds. She is drawn to picture books that tell true or imagined stories with emotional resonance. 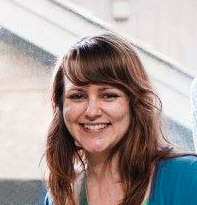 Prior to joining LBYR in 2010, Bethany worked her way through the book business with stops at her local library, The University of Chicago Press, and the literary agency Writers House. Please note: $30 administrative charge for refunds before the refund deadline of March, 1, 2016. E-mail your refund request to the Los Angeles region losangeles@scbwi.org. While we do not anticipate any issues, the faculty and schedule times are subject to change without notice.